Illustration by artist Ben Chlapek for inewsource. As 2016 draws to a close, the reporters and editors of inewsource are highlighting our favorite stories of the year. They ranged from a look at the student homelessness crisis in San Ysidro to investigations into the complex machinations of the powerful California Public Utilities Commission. These stories are also a template for the kind of fearless and data-driven investigative journalism we plan to do even more of in 2017. We’re also featuring databases and maps — our signature content — that you liked best. The story I’m most proud to have worked on this year wasn’t about systemic corruption, mismanagement or intentional wrongdoing. Instead, it concerned a forgotten law passed in the early ‘90s that could help make San Diego a more open and transparent city when it comes to government contracting. The story explained that every company doing business with the city of San Diego must disclose the name and identify of everyone involved in the transaction. Except that hasn’t been happening since the law passed in 1992, even though today San Diego has more than $3 billion in contracts with more than 1,000 private companies. Exposing the glaring gap in accountability prompted immediate reaction by then-City Council President Sherri Lightner and the issue is now working its way through the Office of the Independent Budget Analyst and Mayor Faulconer’s office. inewsource will be following up on this story in January to make sure the law is (finally) implemented. Surveillance videos were taken in operating rooms at Sharp Grossmont Hospital’s Women’s Health Center. May 4, 2016. Megan Wood, inewsource. We broke a story about how a major hospital, Sharp Grossmont, secretly videotaped women undergoing gynecologic surgeries for a year, ostensibly to catch whoever was taking sedative drugs from anesthesia carts. But the hospital compromised patient privacy, subjected itself to at least one lawsuit and a state investigation, and became the object of national ridicule. As testimony unfolded, many doctors throughout the hospital said they removed the drugs — which were in short supply at the time — for legitimate use on patients. An accusation filed by the Medical Board of California’s against one doctor allegedly captured on the videos stealing the drug, was dropped for lack of sufficient evidence. One of our most complex investigations unmasked what some utility experts believe was a dirty deal, followed by years of similarly sullied agreements, that helped determine what San Diego County residents pay — or overpay — for power. The deal, documented by reporters Chris Young and Ingrid Lobet, showed that the California Public Utilities Commission, responsible for regulating corporate utilities, dictated winners and losers, and toyed with decisions that should be based on who can provide reliable electricity at least cost. Nearly every party in this story, all powerful, well-known individuals in California praised the story for its thoroughness. The story linked to dozens of original paper documents that were resurrected from the bowels of the CPUC in San Francisco. The story pointed out that the CPUC was in the habit of approving every request for new capital projects that Sempra and Pacific Gas & Electric asked for. Although we cannot claim a direct link, days after the story ran, the CPUC , in a move that was a huge blow for Sempra, denied a pipeline the company wanted to run from Temecula to San Diego. My deep dive into the prescription painkiller and heroin epidemic in San Diego helped advance the conversation about where this destructive addiction has taken root in the county. I was able to show how many victims of opioids are white young men in communities that had little, if any, previous experience with these powerful drugs. What I thought was most powerful about this story was that it blended the stories of those on the front lines of the battle against addiction with years worth of state and local data. This kind of data-supported narrative helped provide a much more nuanced context to our regional conversation about an addiction that has impacted thousands of San Diego families. The outside of Rachel Quintana’s 200-square-foot motel room in San Ysidro where she lives with her nine kids. Jan 15, 2016. Megan Wood, inewsource. I was most proud of my digging into the homeless situation for children in the San Ysidro School District. It was a rare move when the district announced that one-third of its students had no permanent home, the highest percentage in the county. I spent weeks meeting with families who live in truckyards, cars and low-rent motels near the border. No easy answers for these families, but I felt the story illuminated their circumstances and shortcomings in the bureaucracy that provides funding to help. Why are San Diegans paying $1.6 million for closed restrooms? — When the 1.3-acre Fault Line Park opened up to great fanfare in August 2015, it was hailed as a triumph for public-private partnerships and badly needed open space in East Village. The port, the lawyer and the salesman — Massive projects are moving ahead along San Diego’s waterfront from Seaport Village through Lane Field and all the way to Harbor Island. Yet these changes are not part of a cohesive plan for the sort of world-class waterfront that distinguishes other cities. Mapping tools let you see San Diego’s future flooding — Climate Central, an independent, nonprofit research organization created maps where you can choose a location and dial up the sea level rise to see what might be submerged. This hasn’t been available before. Sharp Grossmont drug surveillance captured videos of female patients undergoing surgery — When Sharp Grossmont Hospital officials realized anesthesia drugs were disappearing from surgery carts, they turned to video surveillance to catch those responsible. In the process, they also captured many images of women undergoing surgery. El Cajon homes to be tested, and a new map of a toxic plume — Residents in an El Cajon neighborhood are just finding out their homes have been sitting above a shallow, toxic plume for more than half a century. Murky rule generates expensive tax turmoil for California caregivers — Some who receive state payments for providing home care to the elderly or people with disabilities may have paid too much tax and others may have paid too little. Toxic plume in El Cajon reaches beneath mobile homes — A shallow underground plume of a toxic compound that can migrate into buildings extends for 1.3 miles through El Cajon. John Doe in San Diego identified after 16 years on life support — A man previously known only as Sixty-Six Garage has finally been identified after living 16 years in a minimally conscious state. Google Earth Engine shows San Diego’s changing landscape — Watch sprawl change San Diego over the past three decades. It’s mesmerizing. Otay Mesa planning official runs unpermitted RV park — The owner serves on a San Diego planning board, and has been warned and cited four times regarding use of his land. He collects rent from tenants who have no electricity or sewage disposal. 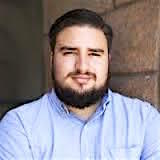 Leo Castaneda is a reporter and economic analyst for inewsource. To contact him with tips, suggestions or corrections, please email leocastaneda [at] inewsource [dot] org. Be the first to comment on "inewsource: ‘Our favorite stories of the year’"